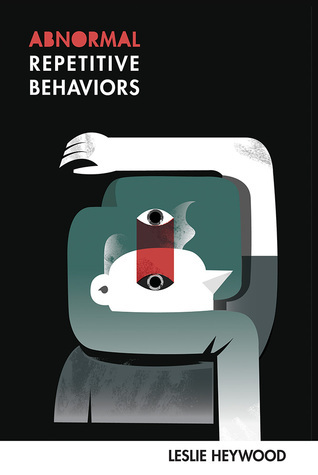 Abnormal Repetitive Behaviors by Leslie Heywood explores how trauma can affect those in the same family in the generations that follow the event. From the death of grandparents in a violent murder-suicide to the abusive relationship between an alcoholic father and his daughter, the poems explore the patterns of behavior that occur through time and repeat from one generation to the next. “a cry stuck between/Growling and the most bereft sense of loss” (“Abnormal Repetitive Behaviors” pg. 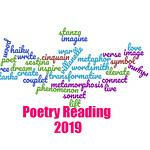 15-16) is the initial sense readers will have with these poems, but what lies beneath is a deep exploration of how emotional response is innate, as Heywood draws parallels between humans and animals. Heywood’s poems will rip out your heart as you follow the generational grief down the line and the hope that even a cheery paint color could possibly be a shield against the darkness of their patterns. Abnormal Repetitive Behaviors by Leslie Heywood cautions that “grief is a second body” (“Parasite”, pg. 72-3) that can take control if you let it, and when dealing with a person consumed by it, treat it like a wild animal. Stand clear, protect yourself. But by the final poems in this collection, it is clear that to deal with grief, break the cycle of abuse, and move forward, the affected must learn to pause, breathe in that moment of beauty and hold it close. Leslie Heywood is Professor of English and Creative Writing at SUNY-Binghamton, where she was a 2009 recipient of the Chancellor’s Award for Excellence in Research and Creative Activities. Interdisciplinary in focus, her areas are creative writing, gender studies, sport studies, science studies, and environmental studies. Sounds like a great collection, though heavy. Glad to see you enjoyed it. This sounds like a very intense collection of poetry. Stellar review! It was intense, but definitely worth the read. These poems seem to be deep on the reflection of trauma, not an easy topic to explore. It is not an easy topic to read either. This sounds like a collection I might be able to understand.